Education and poverty have an impact on each other, 29 countries in sub Saharan Africa have been categorized as less developed countries with average family annual income of less than $1 per day in many areas. 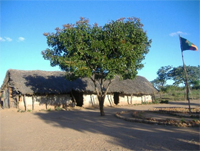 Zambia is among the underdeveloped countries that people live on less than $1 per day. In Zambia many children do not attend school. If children are educated they will become productive adults with life long employment and learning opportunities. This will enable them to move out of poverty cycles. Education develops intellectual capacity and social skills. Levels of education correlate with income levels and children who complete only four years of education are better equipped to move out of poverty. 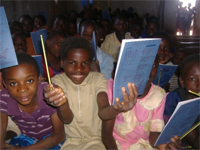 If all children can go to school, poverty levels will be reduced drastically in developed countries like Zambia. Orphans, both girls and boys, are often denied any education opportunity and children with disabilities rarely attend schools. Studies have shown that providing education is one of the best strategies for breaking the strong hold of poverty in the communities. Children with education have greater confidence to make decisions for them, more likely to seek medical attention and better informed on nutrition and far more likely to educate their own children. School fees, books, uniforms and other additional educational cost make parents to decide which child to send to school. The children most denied opportunities to education are orphans and disabled children. They have a low social status and generally considered to have no value in the society. They are most often rejected by the communities. Construct and rehabilitate primary and secondary schools in Lundazi District and other remote areas of the Country. Provide classroom furniture, equipment and teaching aid. 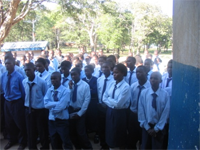 Construct and rehabilitate dormitories in Basic and secondary schools. Provide free lunch for those that are attending school and complete meal programs for those that are boarding at school. Provide counseling to parents with disabled children and the guardians keeping orphaned children. The Community Outreach Workers will conduct home visits where children are not attending schools to remind the parents of their obligation to educate children living in their home and the orphaned children.